With the aim of keeping Athlone clean, Westmeath County Council Cathaoirleach, Cllr. John Dolan, welcomed members of Irish Water to Athlone to take part in a litter pick. The Irish Water representatives were members of the technical advisors service team who took a break from their national meeting to help a local community group. The group was divided into smaller groups who tackled the litter issues in different areas of the town and along the Shannon banks. 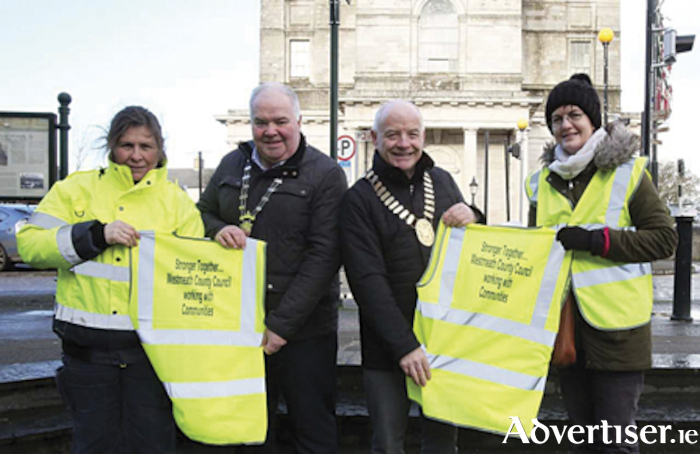 Members of the Westmeath County Council environmental department supplied those in clean up mode with pickers, gloves, bags and vests as part of the local authority’s awareness programme.